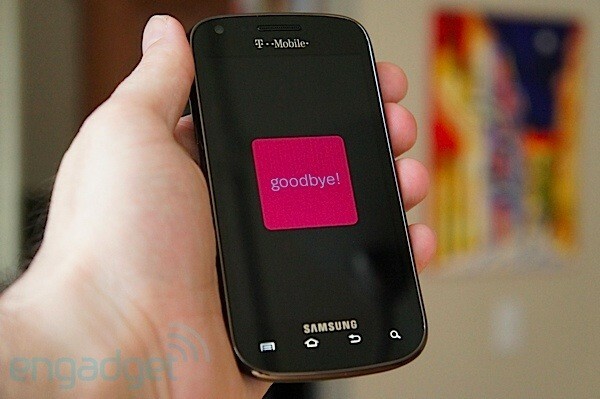 Maybe you've noticed, maybe you haven't, but the Galaxy S 4G no longer exists at T-Mobile. Just one year ago, it replaced the Vibrant -- the carrier's first Galaxy S handset -- and now the Galaxy S 4G has similarly felt the cold embrace of Father Time. Fear not, though, because it has a replacement, and it's really quite admirable. 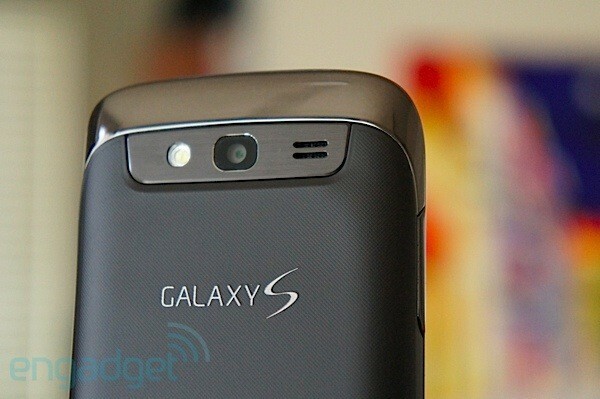 Folks, let us introduce you to the Galaxy S Blaze 4G. If you're curious about the rationale behind the Blaze nomenclature, its meaning is actually two-fold: first, it's capable of accessing T-Mobile's speedy HSPA+ 42Mbps network, and second -- get this -- it packs the same dual-core processor as T-Mobile's Galaxy S II. Despite these two enhancements, the Galaxy S Blaze 4G stops short of encroaching on premium territory -- instead preferring to straddle the line between middle-of-the-road and high-end. Similarly, it retails for $200 on contract, before a $50 mail-in rebate. With such a lofty price, it'll undoubtedly instigate comparisons to the Galaxy S II and, soon enough, the HTC One S. Most importantly, though, is the question of whether the Blaze 4G can stand on its own as a quality smartphone; we're fully aware that prices change, and a vexing purchase today could become a wise decision tomorrow. With this in mind, join us after the break as we explore the latest that Samsung has to offer for T-Mobile. The Blaze 4G is a good handset that stops just short of greatness. Once it falls to a lower price, it'll be an excellent choice for those unwilling to splurge on top-shelf features. 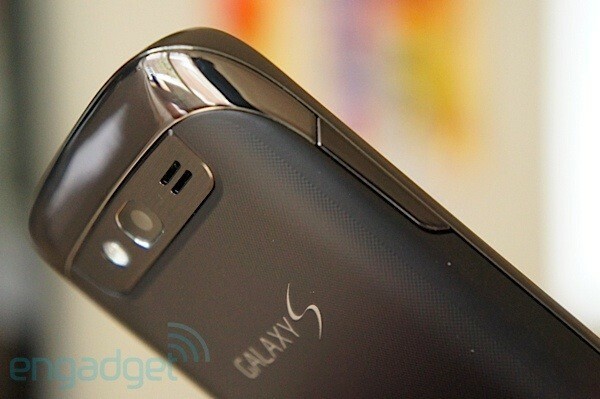 How would you rate the Galaxy S Blaze 4G? Check any pre-conceived notions of Samsung's notoriously cheap-feeling materials at the door. 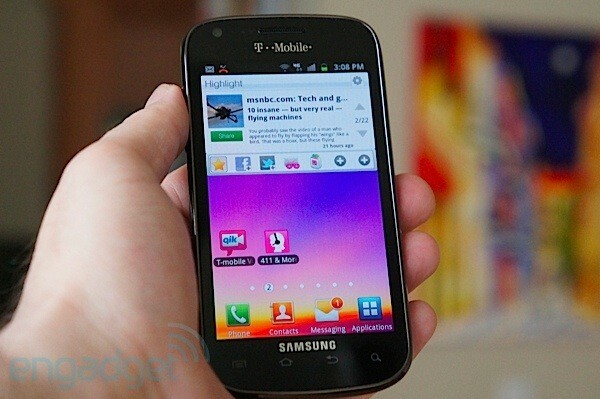 The Galaxy S Blaze 4G is beautiful and in particular feels worthy of its price. The design is neither utilitarian nor gaudy; just elegant. While the enclosure is fashioned entirely out of plastic, a few details such as the thin outer bezel, woven-texture back cover and brushed metal camera pod are sufficient to imbue a sense of luxury. The plastic outer bezel has a metallic appearance, but rather than mimicking chrome, it's most reminiscent of pewter. Likewise, the power button and volume rocker make up part of this outer bezel, and each run flush with the device. There are few external amenities, save for a headphone jack on top, an exposed micro-USB port on the bottom, and a covered microSD card slot located on the right-hand side. Samsung had the opportunity to introduce a powerful, fully featured smartphone in a smaller enclosure than the Galaxy S II, but it stopped short of that. The Blaze 4G packs a Qualcomm APQ8060 SoC with a 1.5GHz dual-core CPU and an Adreno 220 GPU -- the same internal engine that powers the Galaxy S II on T-Mobile and the Skyrocket on AT&T. Like the Magenta-branded Galaxy S II, it also offers similar access to T-Mobile's fantastic 42Mbps HSPA+ network, with an internal radio that supports HSPA / UMTS on the 2100/1900/1700/850MHz bands. For legacy GSM / EDGE networks, it's also compatible with the 1900/1800/900/850MHz bands. Despite sharing the same internal core as the Galaxy S II, the phone lacks a number of premium features that prevent it from competing head-on with Samsung's premiere handset, which is somewhat of a shame. The company had the opportunity to introduce a powerful, fully featured smartphone in a smaller enclosure than the Galaxy S II, but it stopped just short of that. The Blaze 4G is a mid-tier device, but thanks to just enough spec bumps, it'll at least have some longevity. It sports a 4-inch Super AMOLED display, a 5-megapixel camera with LED flash, a front-facing 1.3-megapixel cam and a 1,750mAh battery. 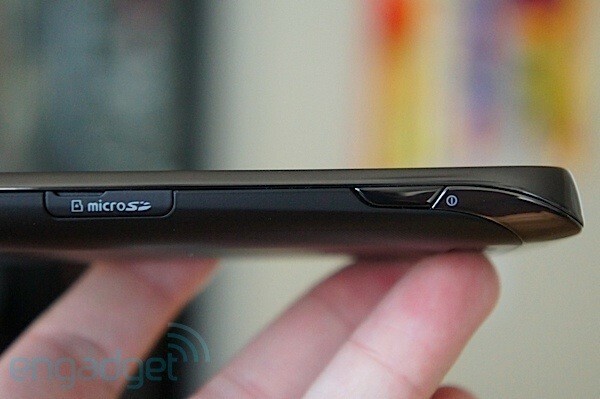 It also includes 1GB of RAM, 4GB of built-in storage and a 4GB microSD card. Rounding out the list of specs, the phone also supports 802.11a/b/g/n (WiFi), Bluetooth 3.0 and NFC, along with free WiFi voice calls, WiFi Direct and both mobile hotspot and USB tethering capabilities. The Blaze 4G is a mid-tier device, but thanks to just enough spec bumps, it'll at least have some longevity. The Blaze 4G is undoubtedly a fine-looking handset, but it's hardly the most ergonomic option we've come across. By all accounts, its smaller size should allow the phone to be easily held with one hand -- and to a degree, that's the case -- but due to the straight, symmetrical form, it doesn't rest nicely on your fingers or palm. As such, we found the handset was slightly awkward and uncomfortable to use with just one hand. Thankfully, operating the device with two hands is quite pleasurable. The symmetry and flush keys also make it a bit more difficult to locate the power button and volume rocker by touch; all too often, we found ourselves trying to accomplish this while holding the phone upside down. The Blaze 4G measures 11mm thick and weighs 4.5 ounces (127g), which makes it more substantial than its replacement in both regards -- a welcome change that serves to boost the perceived quality of the phone. No hardware element reinforces the Blaze 4G as a mid-range phone more than its display. On one hand, the 4-inch, WVGA Super AMOLED is a known quantity that's found widespread acceptance. It offers excellent contrast and color saturation, provides admirable viewing angles and is decently workable in direct sunlight. On the other hand, its PenTile matrix is poorly suited for text, which results in a subtle blurriness that's characteristic of the technology. Samsung could've easily justified the price of the Blaze 4G had it included a Super AMOLED Plus display, which rectifies this problem with its proportionately sized sub-pixels. Alternatively, it could've included a higher-res display for improved sharpness. Instead, users will merely need to settle for par. In our standard battery rundown test, the Blaze 4G lasted an incredible 11 hours and 20 minutes. Remember how we said the Blaze 4G straddles the line between mid-tier and high-end? Well, we've only told half of the story so far. With the same internal platform that powers smartphones such as T-Mobile's Galaxy S II, AT&T's Galaxy Note, the Galaxy S II Skyrocket and the Pantech Burst, you probably have a good inkling of where this is going. Needless to say, this thing is fast, and thanks to its well-tuned software, it often surpassed its siblings in our benchmark tests. Unsurprisingly, the Snapdragon S3 SoC was still bested in the benchmarks by Samsung's home-grown Exynos platform, but we were more than pleased during our objective, real world interactions -- most applications popped open instantly, animations were buttery smooth and the web browser was quick and fluid. Aboard T-Mobile's HSPA+ 42 network, the Blaze 4G averaged 17.2Mbps down and 2.9Mbps up, which is thoroughly competent -- and faster than most will need -- but an earnest reminder of the merely theoretical speeds that T-Mobile so often touts. We were just as impressed with the Blaze 4G's battery life. In our standard rundown test, the phone exceeded our expectations by a wide margin -- it lasted an incredible 11 hours and 20 minutes. To put this in perspective, a good number of Android phones run out of steam at the five-hour mark, and even the best performers often drop after eight or nine hours. While it can't compete with the Droid RAZR Maxx's hallmark 16.5 hours, the fact that it even forced the comparison speaks volumes. 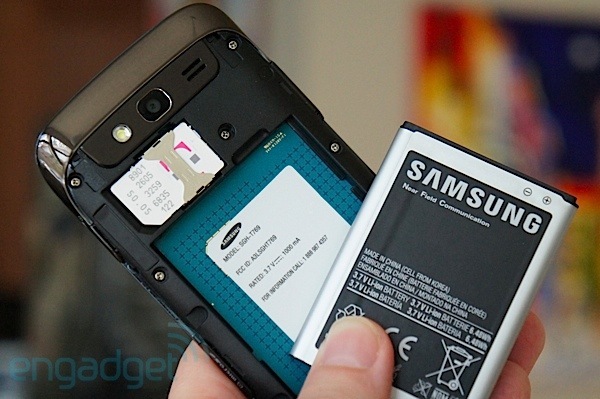 Our real-world battery tests were no less remarkable. Under light to moderate use, the phone lasted a solid 52 hours, and even when we intentionally tried to wear it down with reasonably heavy usage, it kept alive for a respectable 34 hours. 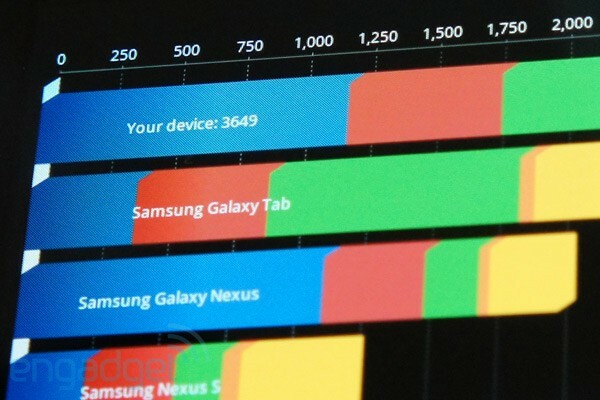 We've no doubt that Samsung could push this even further. It's no surprise that the display was the primary drain on battery life, but the automatic brightness setting often caused the screen to shine more brightly than necessary. In this regard, we'd love for Samsung (or Google) to introduce a feature that allows users to configure the overall aggressiveness of the screen's brightness, to work in unison with the automatic brightness setting. The Blaze 4G stands as proof that an Android phone can deliver respectable battery life with only a moderately sized cell, but there's still additional room for improvement. We're pleased to say the Blaze 4G offers call quality that was nothing short of excellent. In every case, voice calls featured ample volume and zero distortion, and we appreciated the warm, well-rounded tones in the caller's voices. Similarly, those we spoke with had nothing but positive comments with respect to the depth and clarity of our voice. 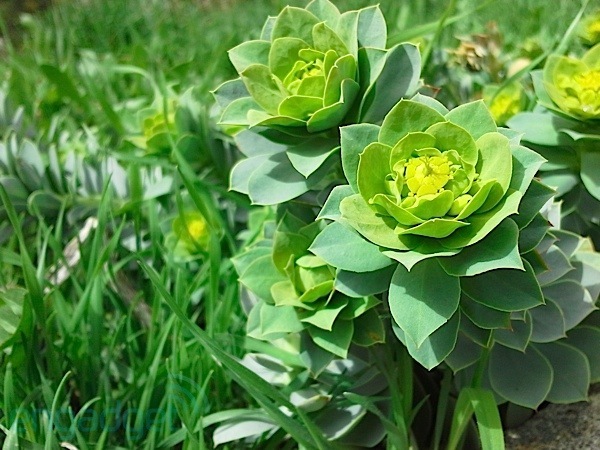 It's no secret that Samsung can make a quality cameraphone, and that rings true with the Blaze 4G. Yes, we're a bit miffed by the exclusion of the Galaxy S II's fabulous shooter, but users will still be treated to the same five megapixel gear that was present in the Galaxy S 4G. The phone captures handsome photos with little fuss, with accurate color balance and exposure -- although, we would've liked to see a bit more detail at full resolution. The touch-to-focus function is handy for shot composition, but is unable to create much appreciable bokeh. Those wanting greater control over their photos will find various scene and white balance modes, along with settings to control ISO, EV and light metering. The 720p video camera shoots at a fixed focal length with absolutely no ability to focus beforehand. New to the setup is an LED flash, though by default, the camera tends to rely on its admirable low light performance and won't fire the bulb unless absolutely necessary. Indoor photos were remarkably free of noise, but unless you're careful, these shots may turn out slightly blurry -- this is due to Samsung opting to keep the shutter open for greater durations, rather than cranking up the ISO sensitivity. The camera captures video at 720p, and in the water scene that we shot, the ripples were remarkably fluid and free of any significant choppiness. Sadly, the video camera shoots at a fixed focal length and there's absolutely no ability to focus in video mode, even beforehand. The camcorder was useless for closeup movies, whereas at the same focal length, the still camera produced beautiful shots. Earth to T-Mobile: let us delete this junk! No excuses. Just do it. The Blaze 4G includes Android 2.3.6 and Samsung's TouchWiz UI, but due to a heavy amount of customization from T-Mobile, the out-of-the-box experience is really unpleasant. Not only is the phone sullied by a heavy amount of non-removable junk, but upon first start, each of the seven screens are haphazardly and incoherently littered with unwelcome apps and widgets. It's bad. The majority of the selections are designed to sell you content, sign you up for a service or draw you into purchasing a premium version. By all appearances, it was almost shocking to not find an app from CompuServe or Prodigy begging you to sign you up for 20 hours of free dial-up internet. There's a widget that tries to sell you apps and a widget that's only useful for adding other widgets, but neither of these were as annoying as Highlight, which immediately began hassling us via the notification tray to update our Final Four bracket -- yet another clever ploy to get us to sign aboard. Make no mistake: the default experience is in no way designed to provide you with useful apps or get newbies up and going, it's there to bolster the carrier's bottom line, and it's offensive. The list of bundled software is long, and while some users may have planned to install a few of the titles anyway, there's no reason that a properly motivated individual shouldn't be able to delete unwanted apps. Instead, they'll be continually nagged to update software they never wanted, and their launcher will be cluttered just the same. Earth to T-Mobile: let us delete this stuff! No excuses. Just do it. It's unfortunate that we had to expend all that energy to point out the obvious, because it detracts from one of T-Mobile's customizations that we're quite fond of. Known as WiFi Calling, it's a free service that allows users to augment their coverage in spotty areas and place unlimited calls without affecting their monthly minute allotment. The service is simple and brilliant, and all carriers should be offering it. It's like the TouchWiz team decided to call it a week at noon on Thursday and then never came back. 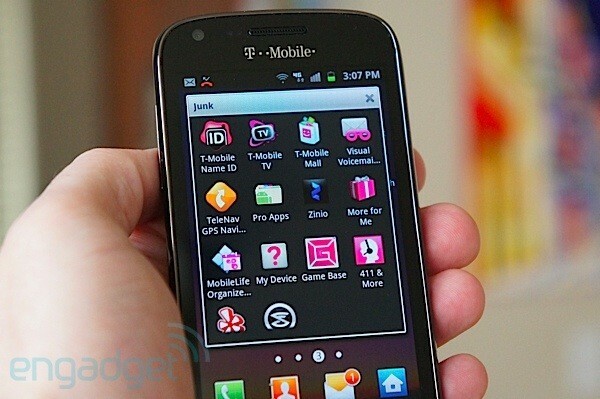 As a small saving grace to all the junk that T-Mobile has piled onto the Blaze 4G, the TouchWiz interface allows users to create folders within the launcher to make the unwanted apps less obtrusive. Unfortunately, the process is a bit awkward, as it requires users to go into a special edit mode. To further complicate matters, items we added to folders didn't always save, and for whatever reason, folders can't be renamed after they've been created. Similarly, while we really appreciate that folders can be placed on the home screen, the feature is absolutely useless because the folder remains open once an app has been selected -- that's right, once you exit back to the home screen, you'll still be forced to close that folder in order to access your other apps. While TouchWiz brings some genuinely nice enhancements, it's small but important elements like this that've gone overlooked and unaddressed -- it's like the team decided to call it a week at noon on Thursday and then never came back. The Blaze 4G is said to be on the list for an Ice Cream Sandwich update sometime in the future. We can only hope that Samsung and T-Mobile each step up and deliver a quality user experience for a phone that's undeniably worth it. We're certainly excited to see dual-core processors trickle down into T-Mobile's mid-tier, and thanks to some well-tuned software, the Blaze 4G is an excellent performer. It's an admirable handset that offers top-notch battery life and network performance, pristine call quality and a beautiful, sturdy enclosure. That said, it's a good handset that stops just short of greatness. To justify its high price, Samsung could've included a better display and its superior 8-megapixel camera. Instead, it stopped short of the mark its competitors will be hitting in just a few months -- at which time, this little guy will have a difficult time making its case for your attention. Considering all of these factors, we'd take a serious moment of pause before plunking down $150 for the Blaze 4G. Once it falls to a lower price, however, it promises to be an excellent choice for those unwilling to splurge on top-shelf features.